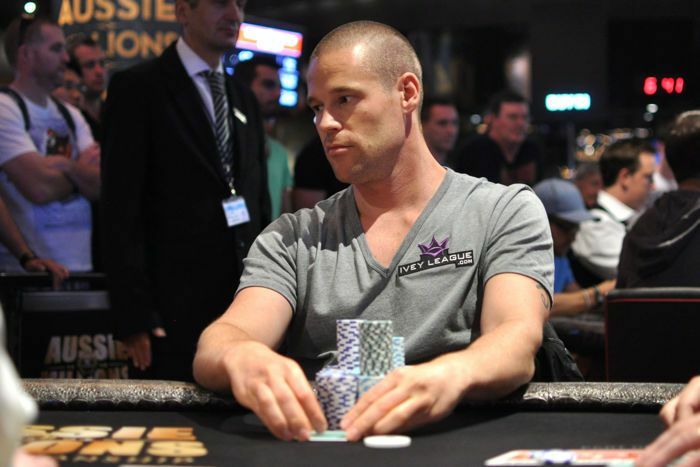 PokerNews will be on hand to cover three huge events of the inaugural PAPC featuring Patrik Antonius. 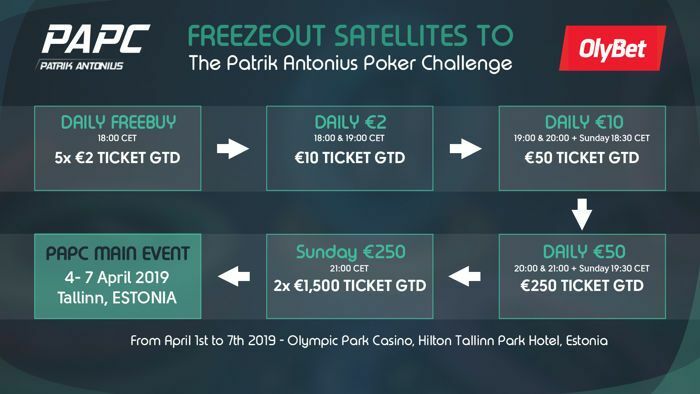 History is about to be made in the Estonian capital of Tallinn with the inaugural Patrik Antonius Poker Challenge heading to the Olympic Park Casino and the Hilton Tallinn Park on April 1-7. The event is sponsored by Antonius' new poker social media application First Land of Poker (FLOP), which will be launched during the festival. The festival features 52 action-packed events with the schedule designed by famous Tournament Director Teresa Nousiainen. Some of the biggest names in the world of poker, including of course the festival's ambassador Patrik Antonius, are confirmed to attend. Antonius is not only known as one of the best cash game players in the world but is also considered one of the best well-rounded professionals. His $12 million in live poker tournament cashes ranks him on top of Finland’s All Time Money List according to The Hendon Mob. There will be something for everyone with event buy-ins as low as €60 and as high as €25,000. The schedule also boasts many live satellites, including freebuy tournaments. For those who love to watch a good nosebleed game, there will also be televised high stakes cash games featuring Antonius and other poker superstars including Daniel "Jungleman" Cates. PokerNews will be on hand to cover three of the marquee events on the schedule starting off with the PAPC €25,000 High Roller on April 3. The one-day event will be a deep-stacked affair with players starting off with 50,000 in chips and blinds increasing every 30 minutes. Antonius: "I see a lot of things in poker I want to improve and we are introducing a lot of new things in our live events." A single reentry is permitted during the late-registration period which closes after the conclusion of seven blind levels. The event will also feature an advanced dynamic shot clock, a new concept introduced by Antonius which shortens the clock before the flop and allows more time for post-flop decisions. The highlight of the festival is, of course, the PAPC €1,500 Main Event running April 4-7. That one features 60-minute blind levels throughout the four days. Players can reenter and receive a fresh stack of 30,000 in chips an unlimited amount of times until the end of the first blind level on Day 2. Patrick Antonius now has a poker series named after him. PokerNews will also report the PAPC €10,200 Championship Event starting on April 6 with the final table played out until a winner is crowned on April 7. In that one, players start out with 40,000 in chips and play to 20-minute blind levels before blinds are increased to 30 minutes in length. The tournament is eight-handed until there is a redraw with 12 players remaining when it becomes a six-max. The High Roller, the Championship Event, and other events offer duplicate tournaments starting at the same time costing just a fraction of the copied event. Other tournament highlights include the PAPC €330 Opening Event (April 1-2), the Patrik Antonius €1,100 Turbo Challenge (April 2), and the €5,200 Pot Limit Omaha (April 3). While the tournament schedule features mostly no-limit hold'em, there are other poker variants mixed in including pot-limit Omaha, pot-limit Omaha h/l, Sviten Special (also known as drawmaha), and open face Chinese pineapple. Antonius is understandably excited about the PAPC. "It is obviously nice to have my own event," Antonius continued. "I see a lot of things in poker I want to improve and we are introducing a lot of new things in our live events." In addition to satellites and half satellites with half the buy-ins going towards a cash prize and half towards seats, players can win a seat to the Main Event in €250 online qualifiers taking place at OlyBet Poker every Sunday at 9 p.m. Players can qualify to this satellite for less or even for free in daily online feeder tournaments. PAPC Main Event satellites at OlyBet Poker.